Professor Emeritus of Neurochemistry and Research Scientist Emeritus at the Unversity of Michigan. 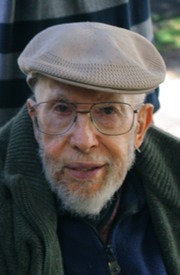 Dr. Norman S. Radin passed away on January 21, 2013 at his home in Cupertino, California. He was 92 1/2 years old. Born in New York City to Russian immigrant parents who actively encouraged his interest in science, Norm attended Stuyvesant High School and Columbia University, where he received his PhD in biochemistry in 1949. He interrupted his education during WWII, working as a chemist in a rocket fuel factory near Pittsburg. Norm married Norma Levinson in December 23, 1947 in Portland, Oregon. A second, religious ceremony was held on February 29, 1948 (leap day!) in New York City. Norm did postdoctural work at the University of California at Berkely, where his son Lon was born, and at the University of Texas Biochemical Institute in Austin. Norm joined the faculty of Northwestern University in 1952 and also worked as a research scientist at the Veterans Administration Research Hospital in Chicago. Daughter Laurie was born in nearby Bellewood. Norm came to the Mental Health Research Institute at the University of Michigan in 1960, where he worked for over 30 years, training many postdoctoral fellows and students. His many research topics included work with cerebroside components, galactolypids, glycolipids, sphingolipids, and tumor cell metabolism. 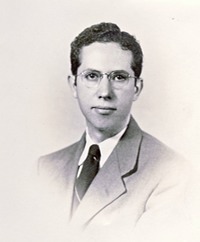 During his lifetime, Norm invented many laboratory techniques (some now consdidered the "classical way"), recived nine patents on new chemicals, wrote numerous scientific papers, edited various biochemistry journals, and served on many study committees. He was awarded the title Professor Emeritus of Neurochemistry and Research Scientist Emeritus at the Unversity of Michigan in 1990. Norm's wife, Dr. Norma L. Radin, was also a Professor Emeritus at the University of Michigan, in the School of Social Work. Norm and Norma retired in 1991 and moved to California to be closer to their grandchildren. Norma died in 1998 from multiple myeloma. Norm continued to write, and published close to 50 scientific papers post-retirement. Norm later became good friends with fellow musician Florence Abramson, and they spent twelve happy years together. Norm is survived by his partner Florence Abramson of Cupertino, his daughter Laurie of Seattle, Washington, his son Lon and daughter-in-law Hollis of Palo Alto, and his grandsons Jesse and Max. Max, following the family tradition, is also working on a PhD in the sciences at the University of MIchigan. A detailed autobiography of Norm's scientifc life and accomplishments can be found here. Norm will be honored at a session of the 2014 Gordon Research Conference on Glycolipid and Sphigolipid Biology, on January 16, 2014, in Ventura, California. UPDATE: FDA approves U-M invented drug for Gaucher disease!!!! Jim Shayman and Norm Radin (represented by his children Lon and Laurie) were honored for their work leading to the development of this new treatment for Gaucher disease, Cerdelga (Genzyme Corp.), at the University of Michigan 2014 Celebrate Invention reception. Please email any comments on Norman's life and work that you would like to be included on this memorial site to LonRadin@pacbell.net.